Although ULCHO offers many Carbohydrates, Nucleotides and Nucleosides available from stock, your project may require a product not listed in our catalogue. Then contact our custom synthesis team and ask for an offer. Let our experienced scientists prepare the exact product you need. Expertise: Our chemists can prepare compounds according to your specifications in any scale you need – from milligram to kilogram and ton quantities. We are experts in producing complicated Carbohydrates and difficult Nucleotides. Quality: ULCHO is committed to using synthesis and purification strategies that yield products of the quality and purity you require. ULCHO sets industry standards for high quality custom synthesis. Efficient service: Our custom synthesis techniques in combination with high capacity and state-of-the-art production equipment allow short delivery times without compromising quality. You will get technical support with the design of your products and complex organic molecules. 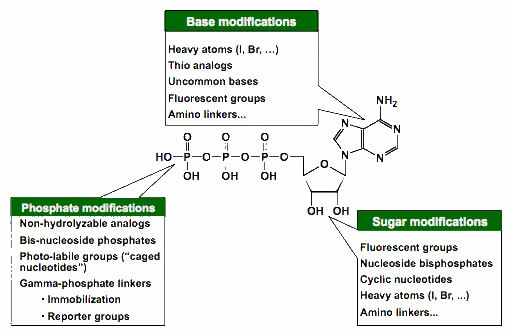 If you need a custom Carbohydrate or Nucleotide, please challenge us with your ideas and take advantage of our expertise. ULCHO can professionally offer custom synthesis of carbohydrates, such as carbohydrate-based intermediates, carbohydrate-based drugs and glycosidase substrates, with good quality, competitive prices and fast delivery. ULCHO can supply carbohydrate-based building blocks including glycosyl halides, thioglycosides, amino sugars, glycals, deoxy derivatives, uronic acid derivatives, alditols, acetal derivatives, alkyl glycoside detergents, oligosaccharides, carbohydrate-based drugs, and so on. Our some featured products are as follows. We also offer a range of 4-methylumbelliferyl, nitrophenyl, indolyl, naphthyl and other glycosidase substrates. Natural nucleotides and modified analogues, such as non-hydrolyzable derivatives, nucleotides containing fluorescent groups or halogen atoms and much more. In addition, with our pre-made building blocks and in-house expertise we manufacture even the most exotic nucleotide analogue from the mg to kg scale in a Custom Synthesis.